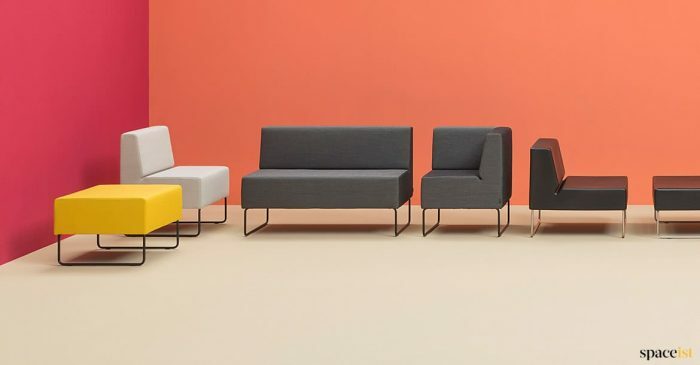 Categories: Breakout sofas, Common room sofas, Modular sofas, Staffroom sofas. 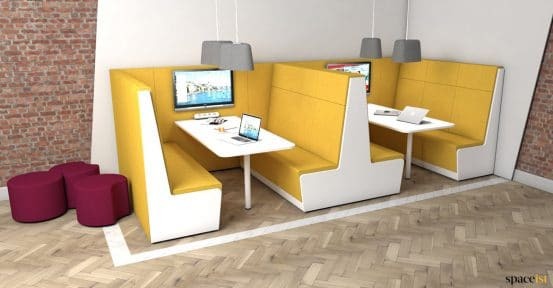 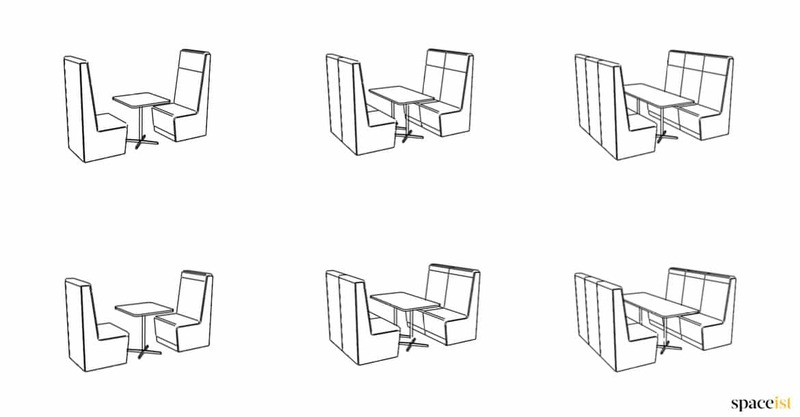 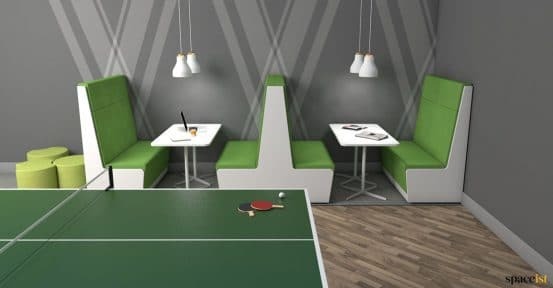 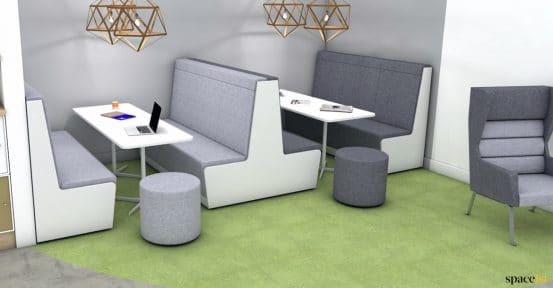 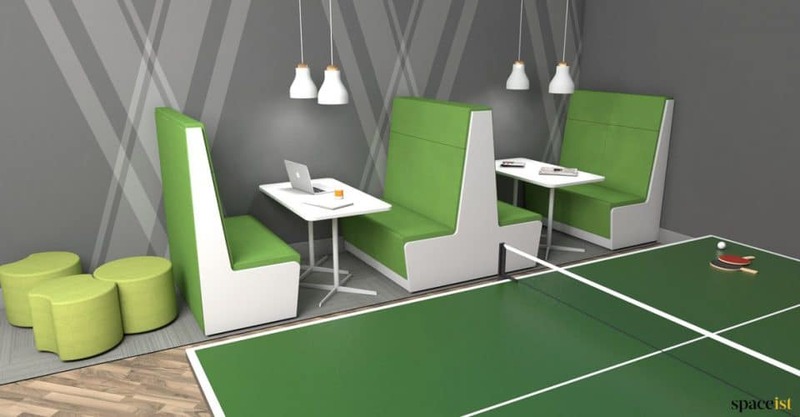 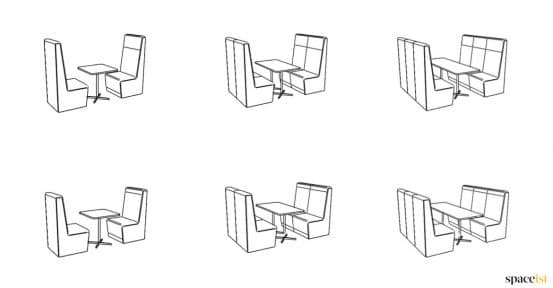 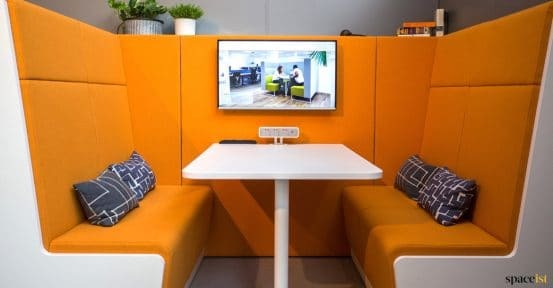 The Booth seating range is made from a two, four or six seater arrangement. 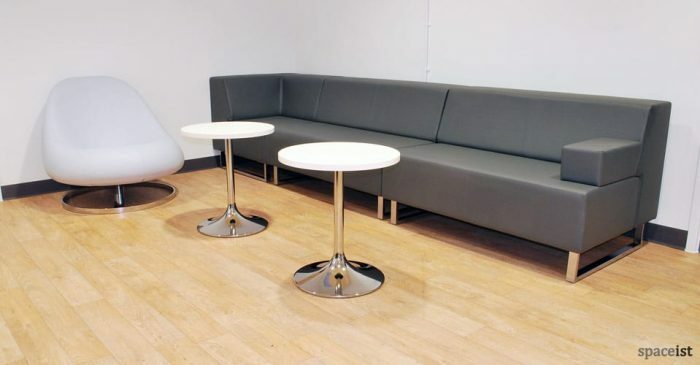 Choose from a large range of colourful and plain fabrics with the option to match your brand colour. 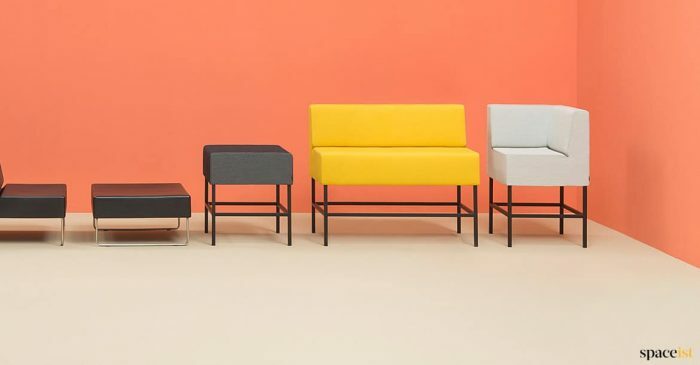 The back panel is upholstered in the same colour fabric or faux leather. 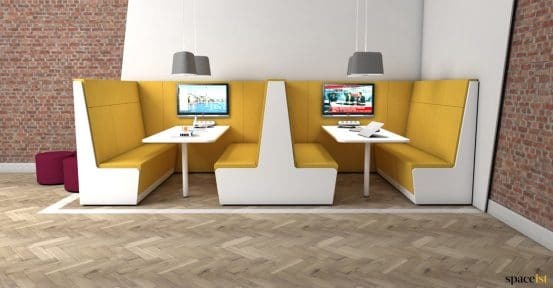 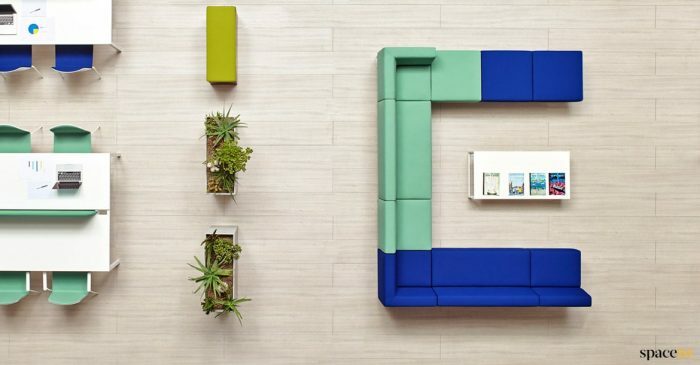 The high back booth sofa is shown in the green and yellow and the low back in grey. Extras include a back panel with the option of plug and USB sockets. 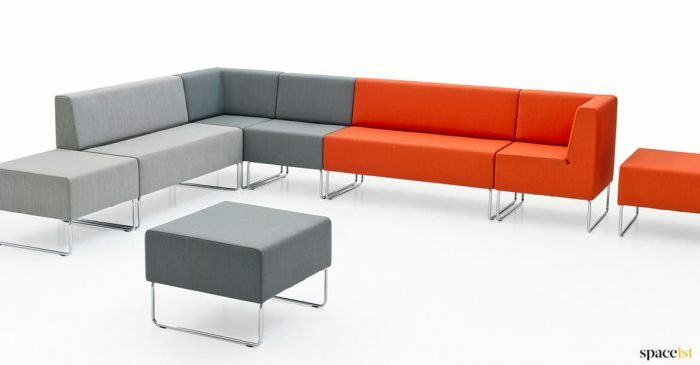 For advice and planning the best sofa arrangement for your space please call 020 8840 6298.